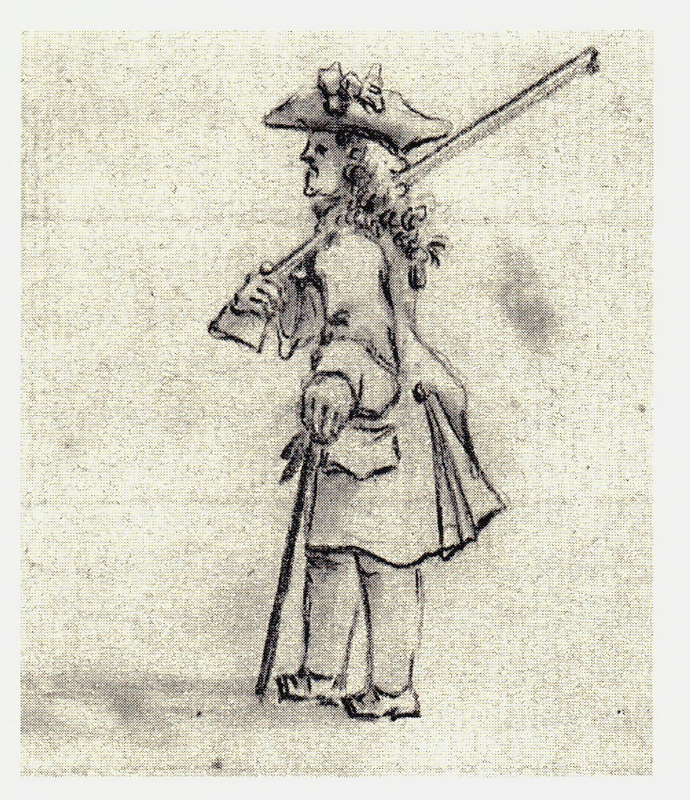 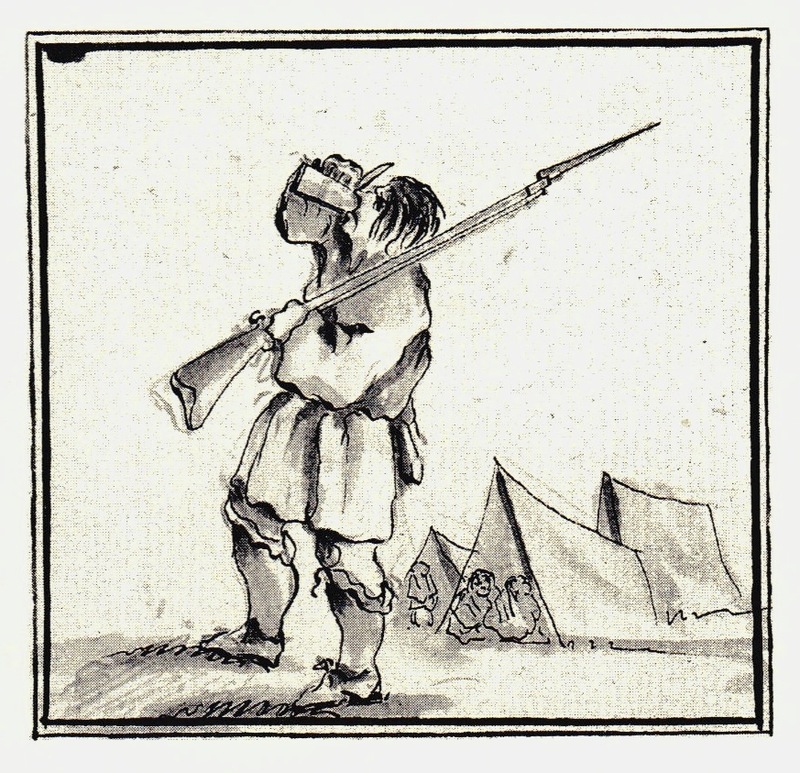 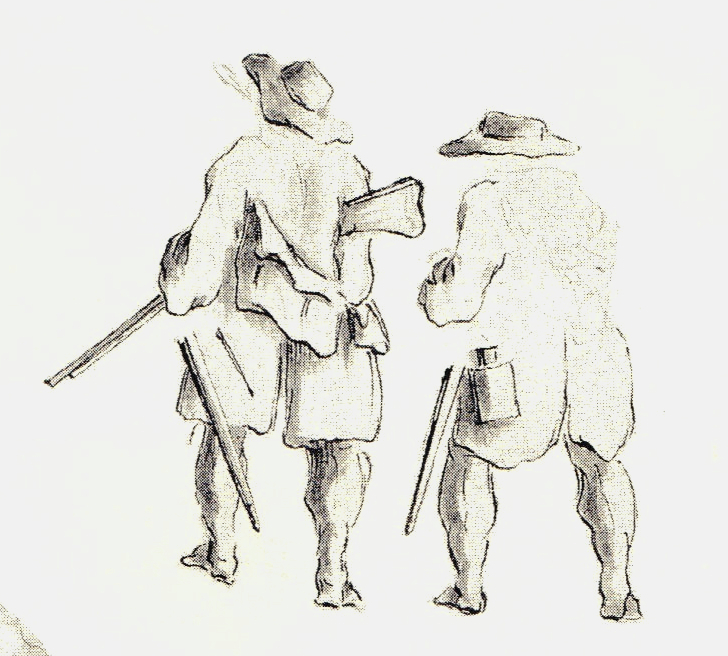 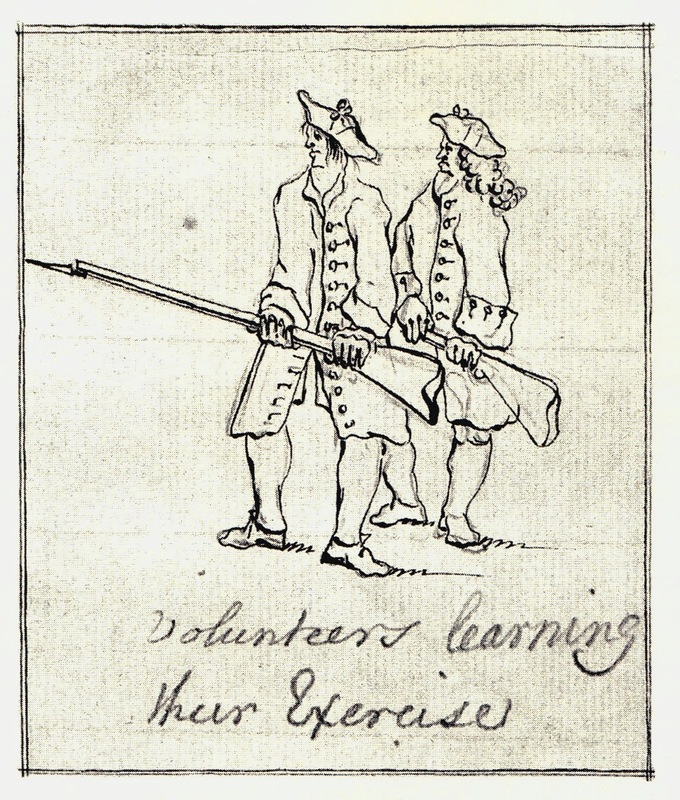 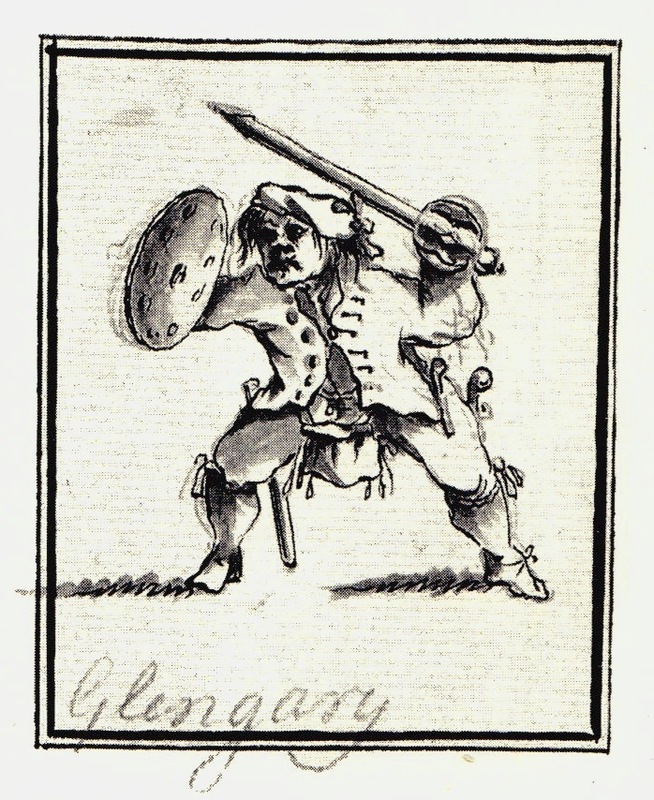 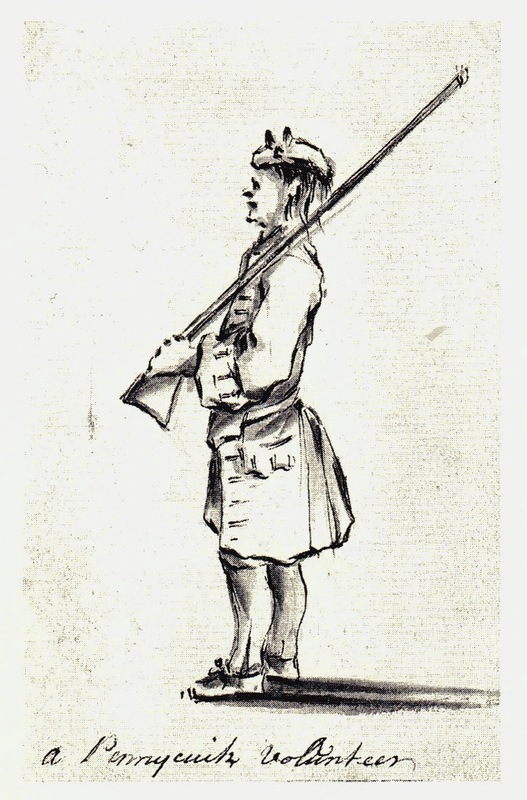 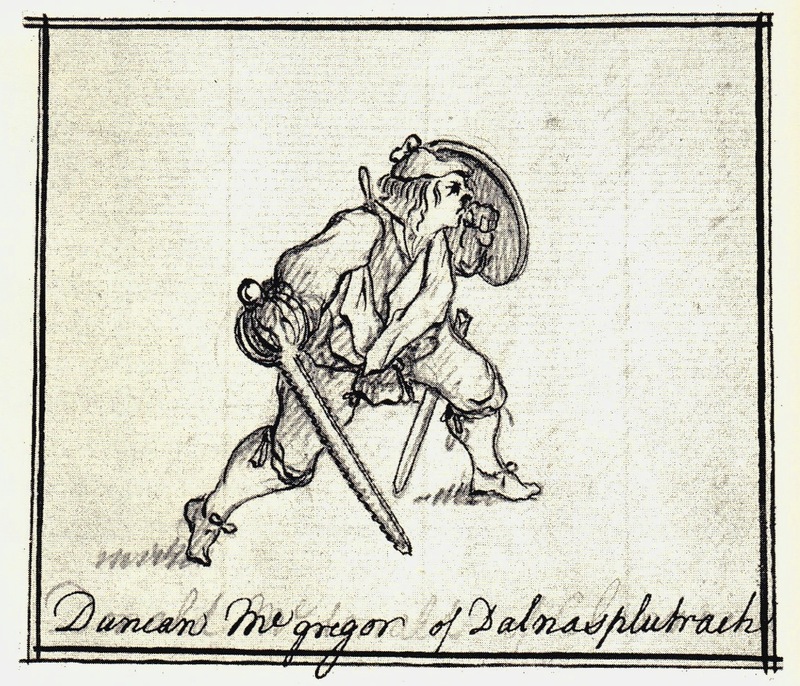 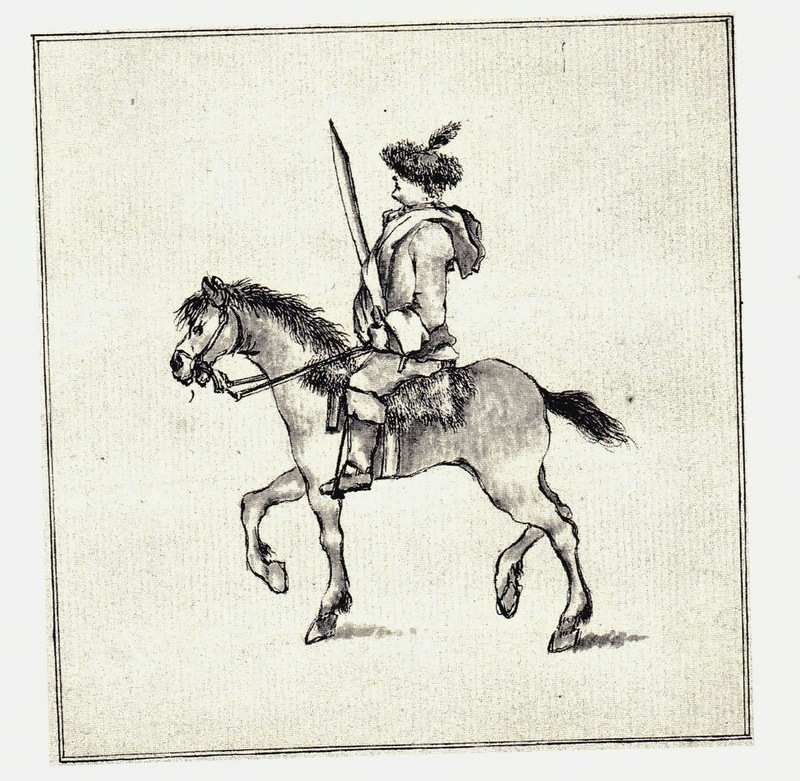 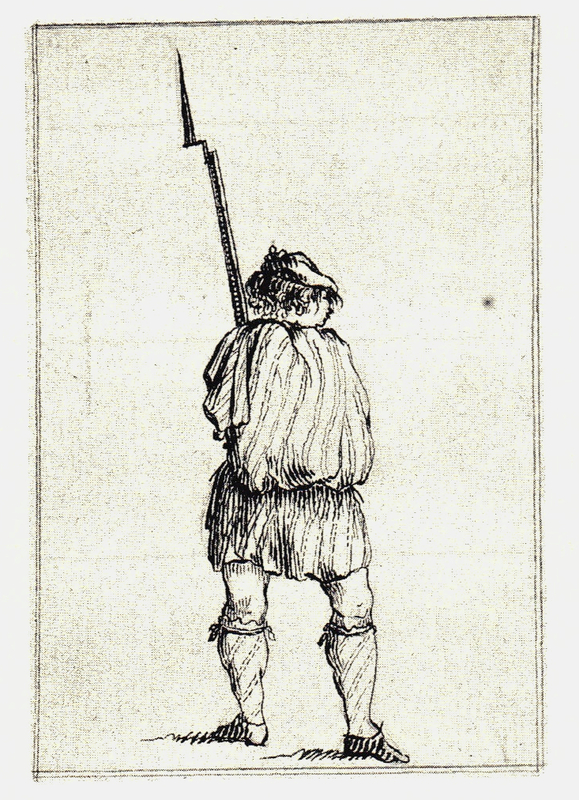 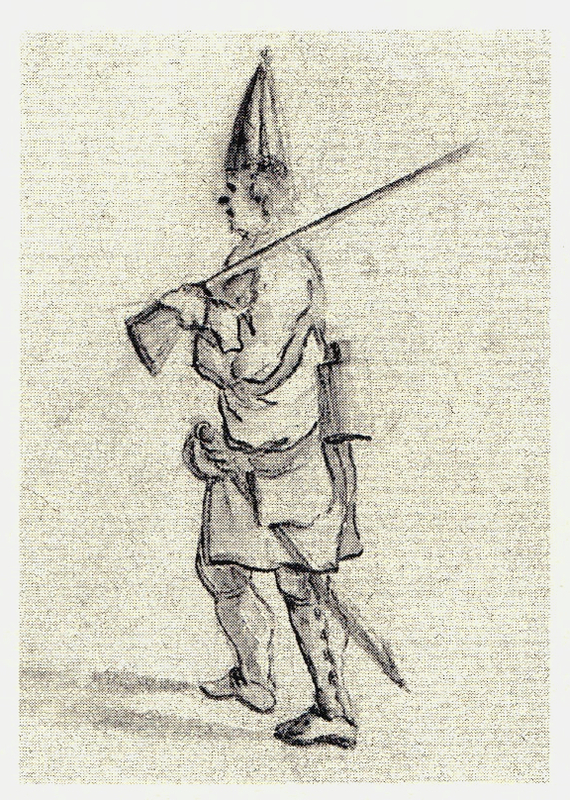 The Penicuik drawings are a collection of sketches by an eyewitness, depicting the armed forces that passed through Penicuik, near Edinburgh, in the years 1745-46. 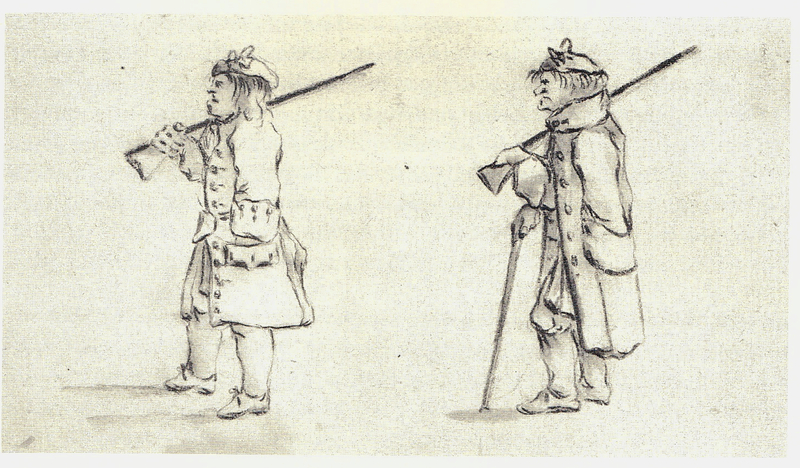 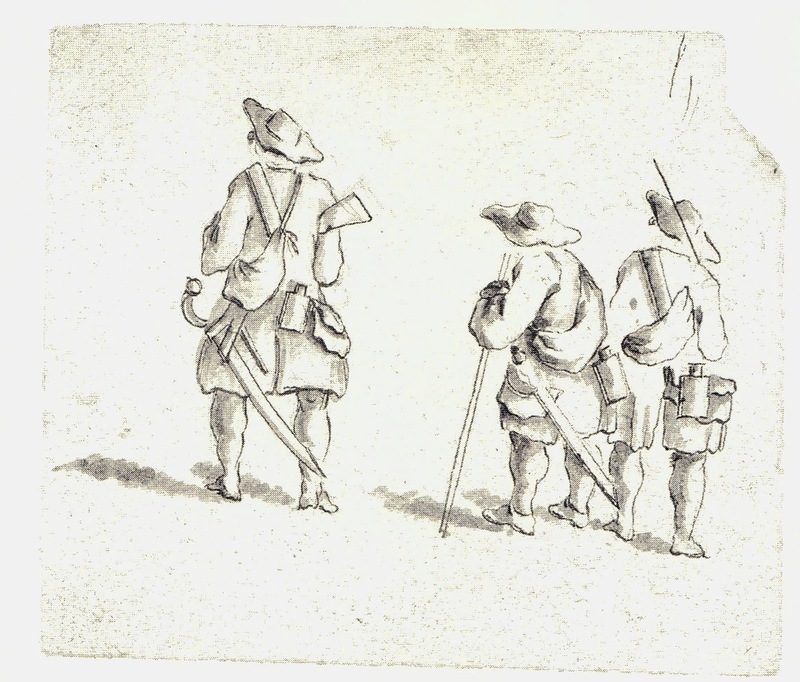 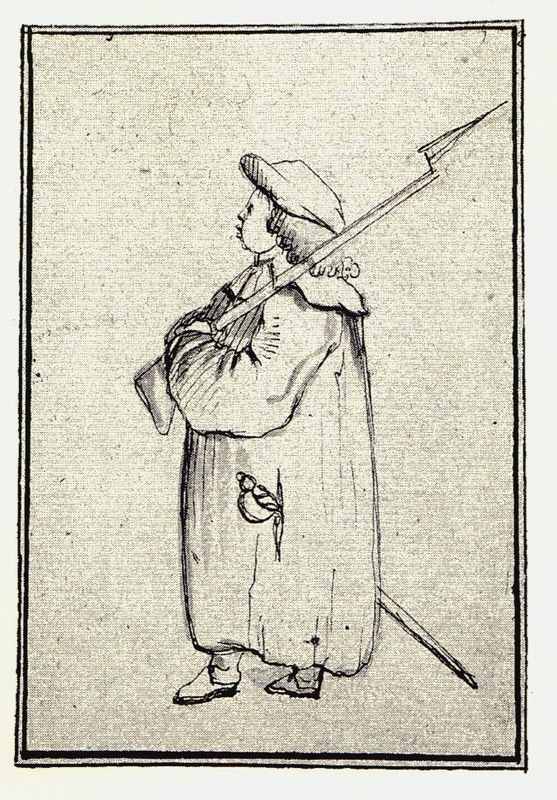 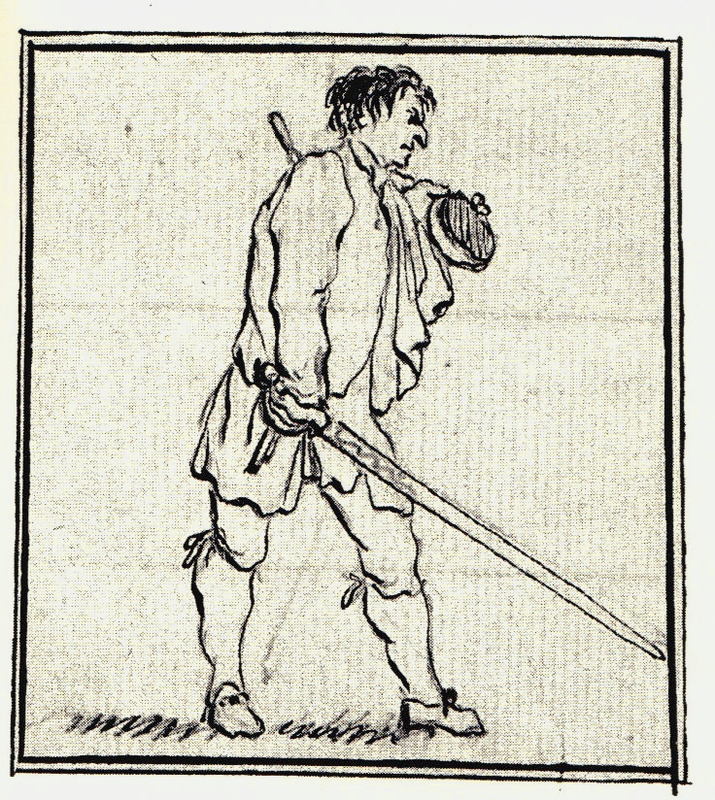 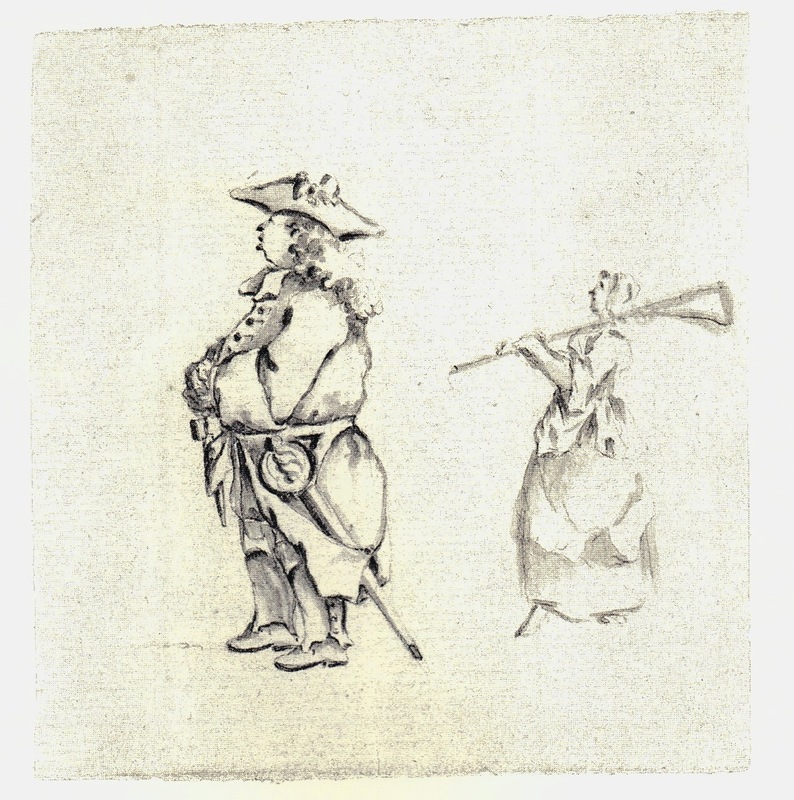 The allegiances of the figures depicted is not noted in the sketches, though a majority of them appear to be Jacobites. 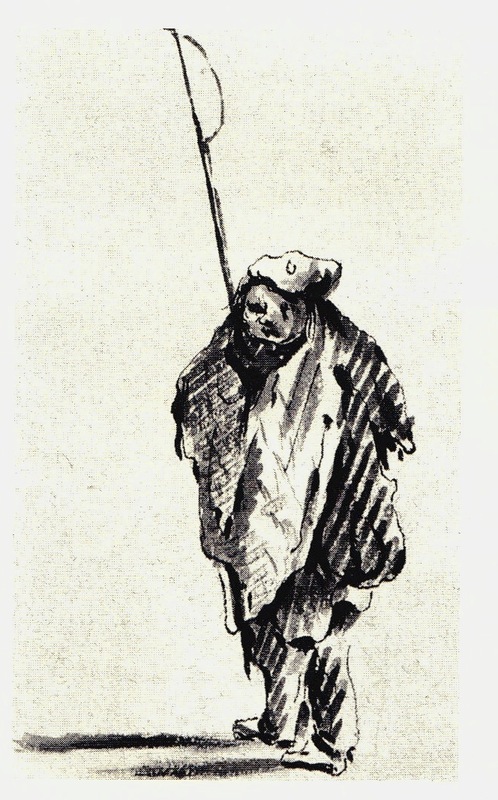 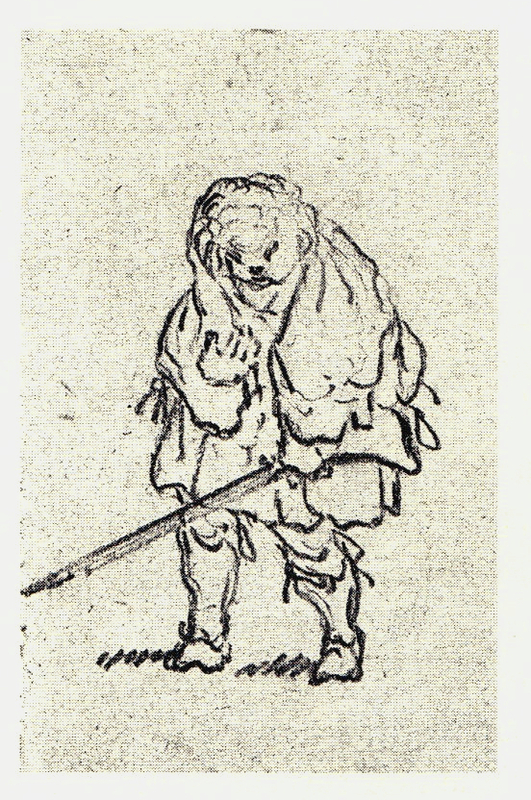 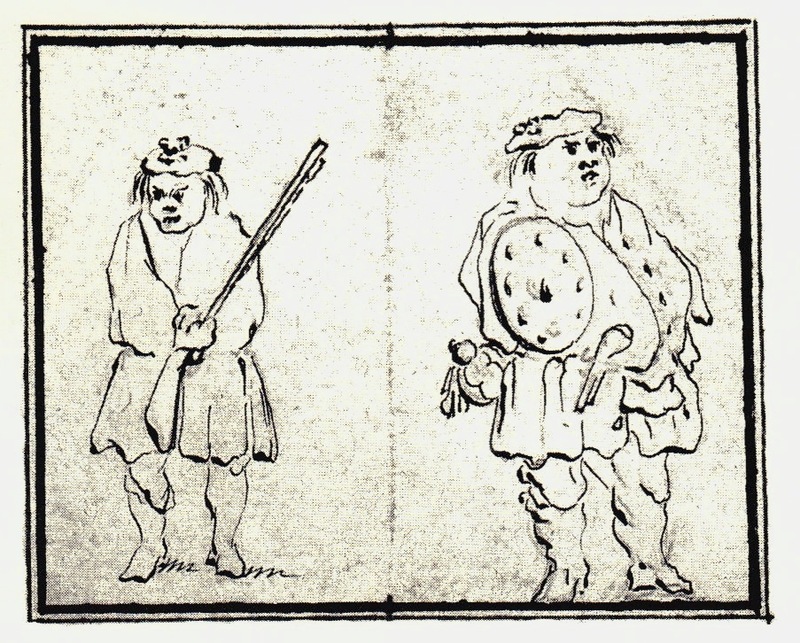 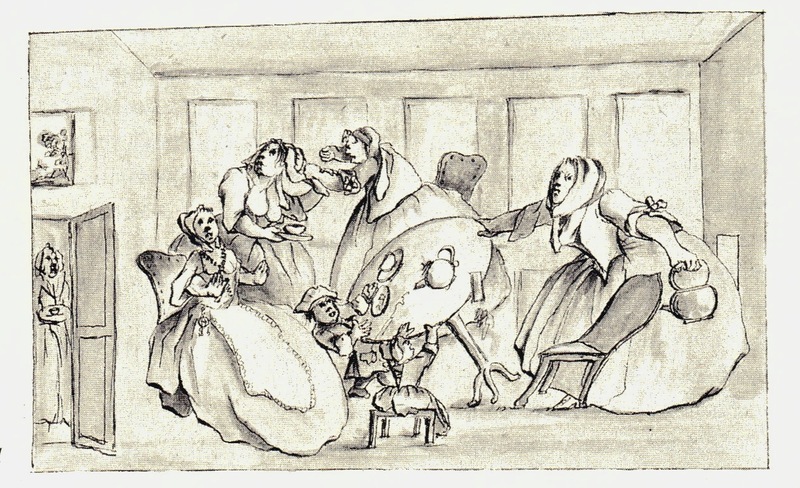 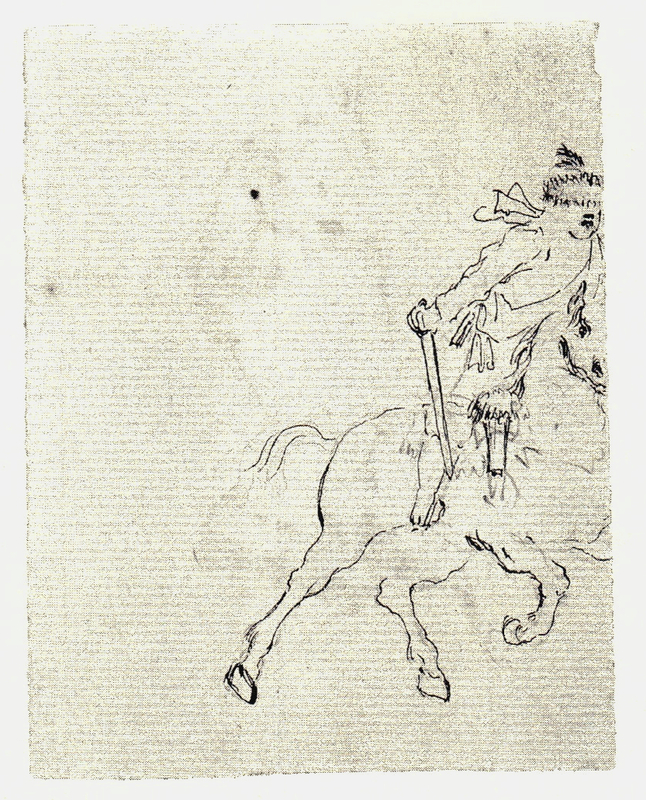 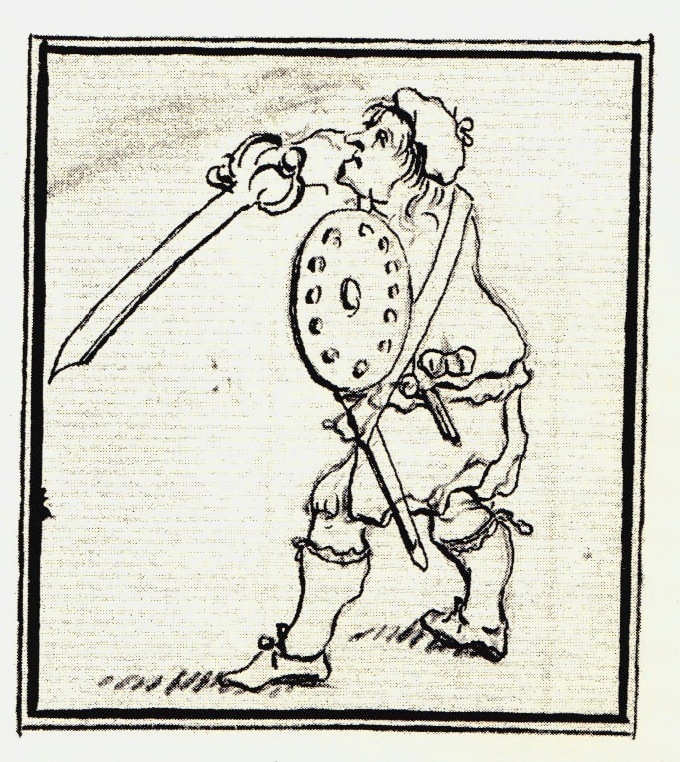 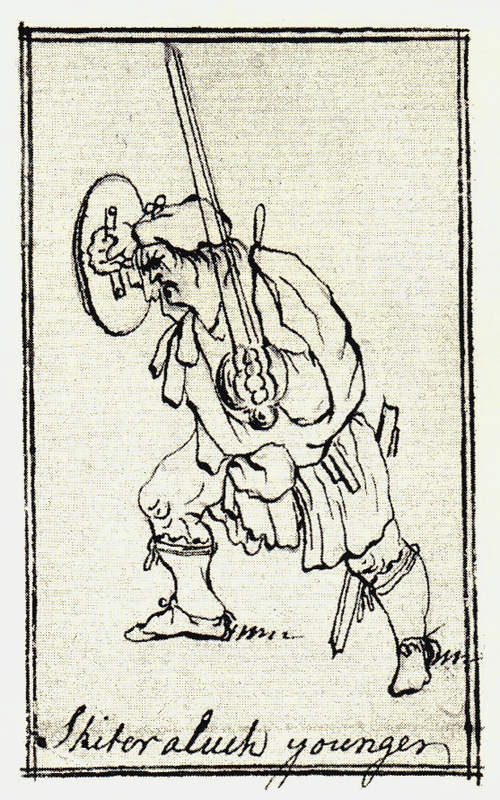 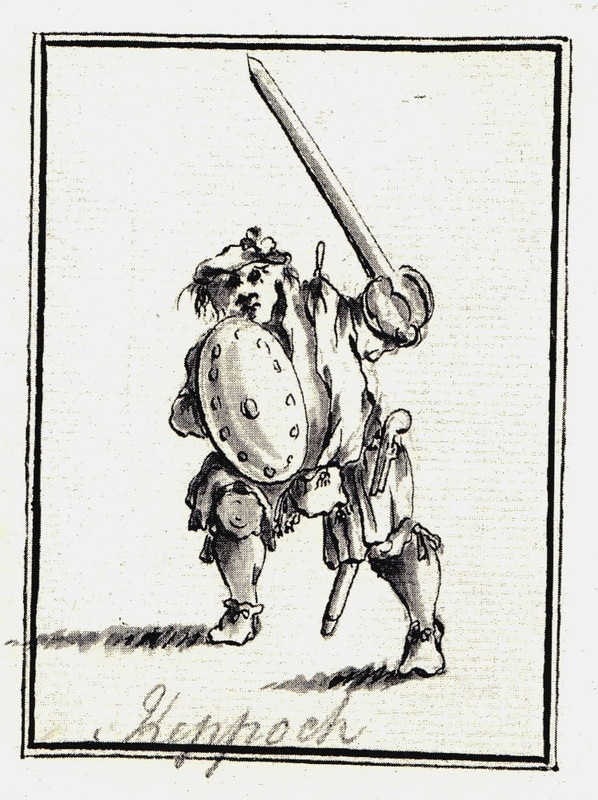 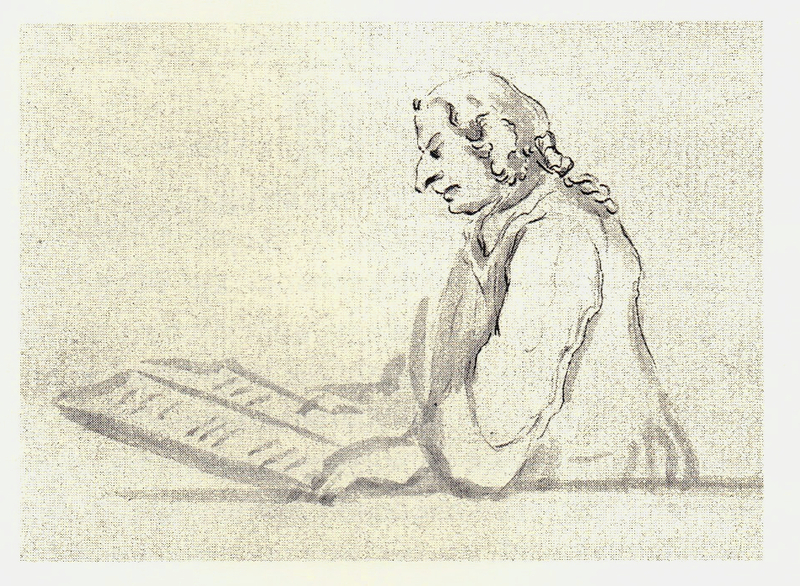 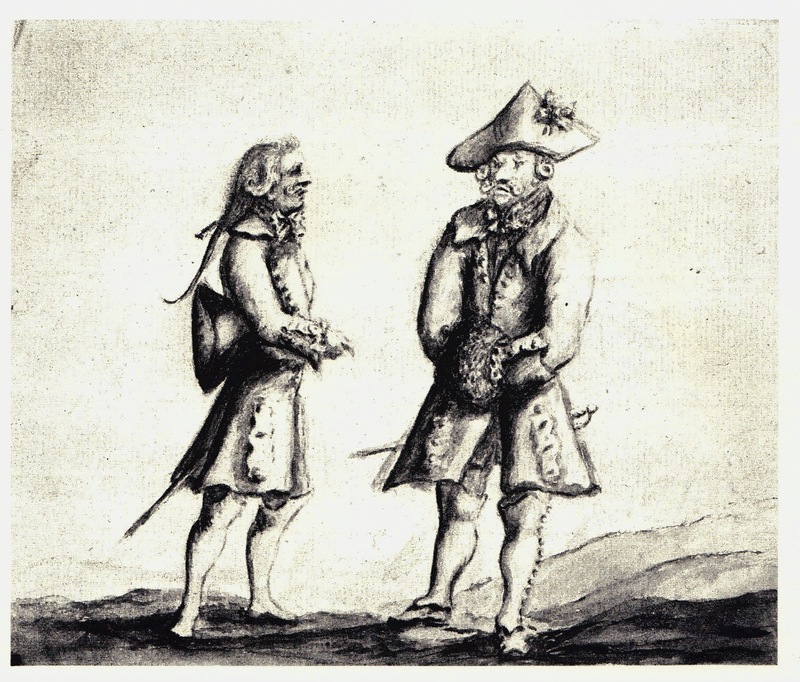 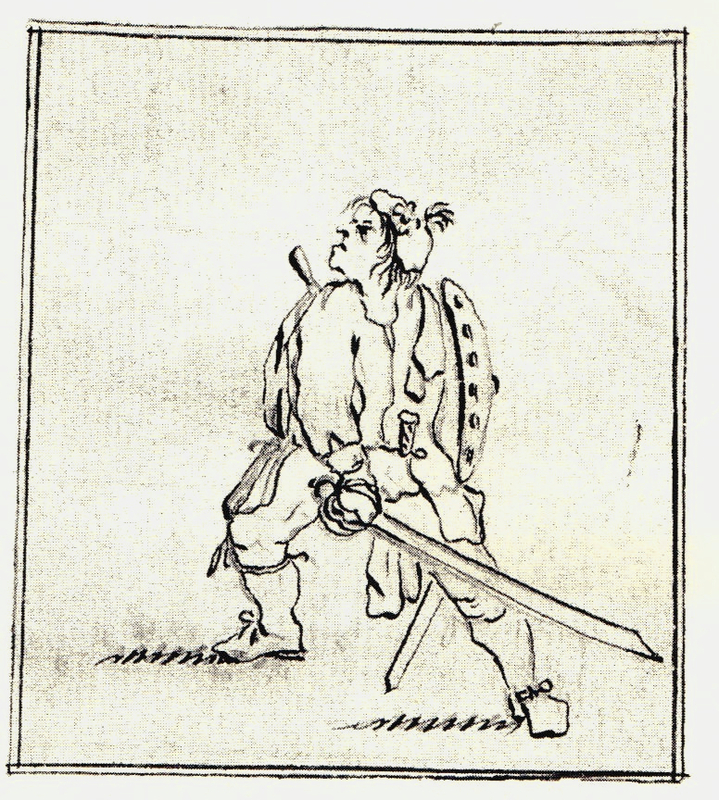 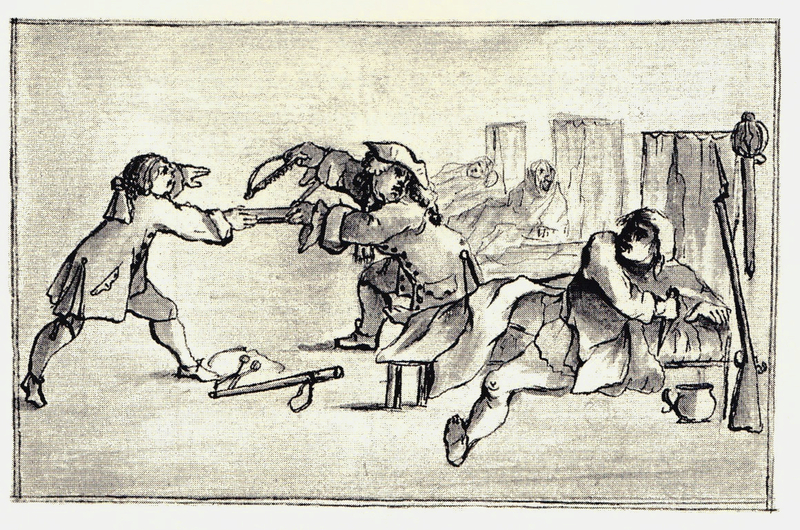 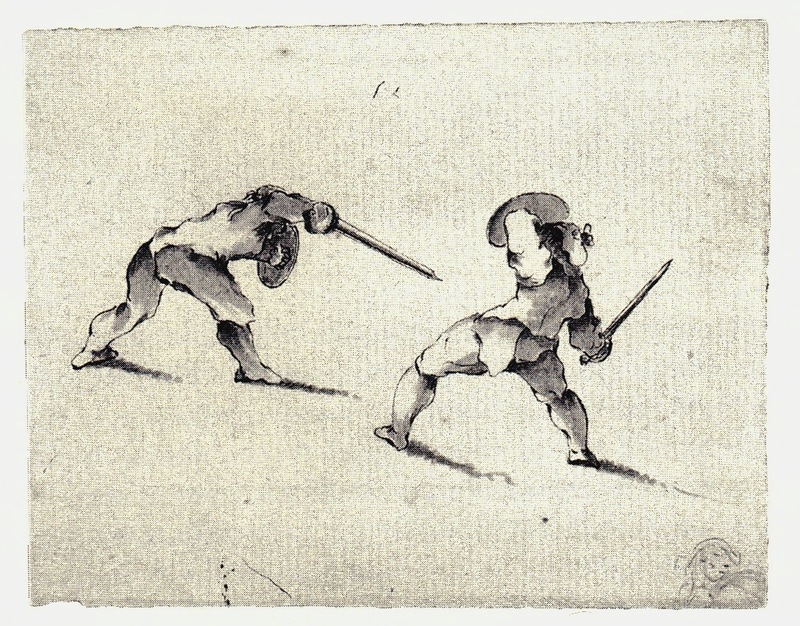 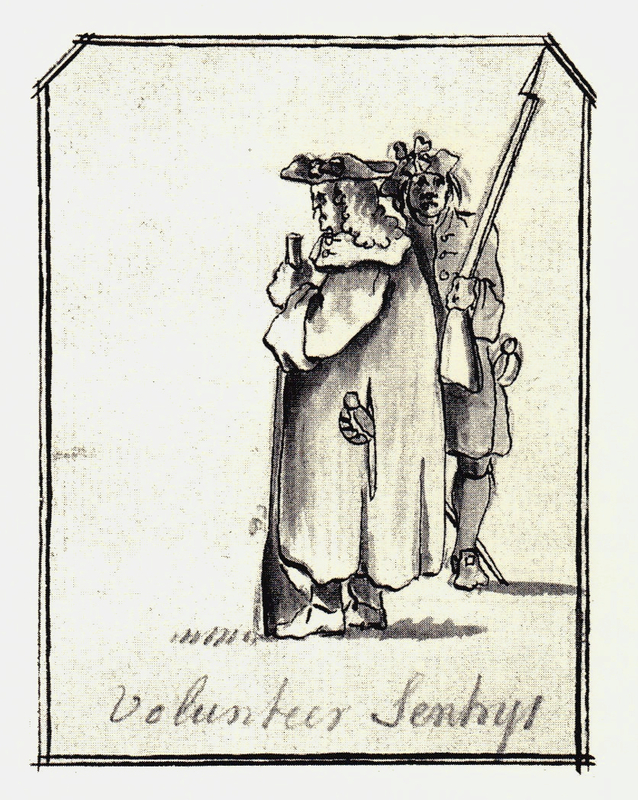 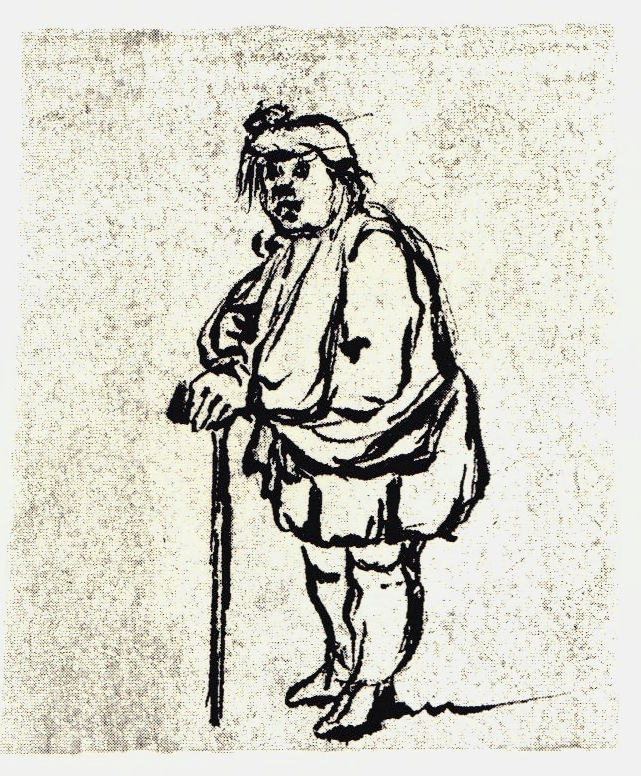 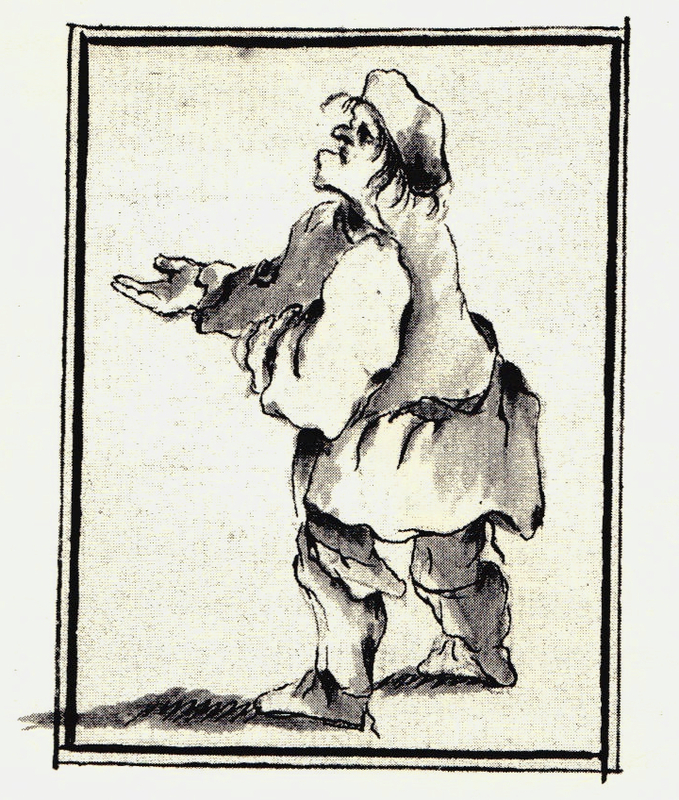 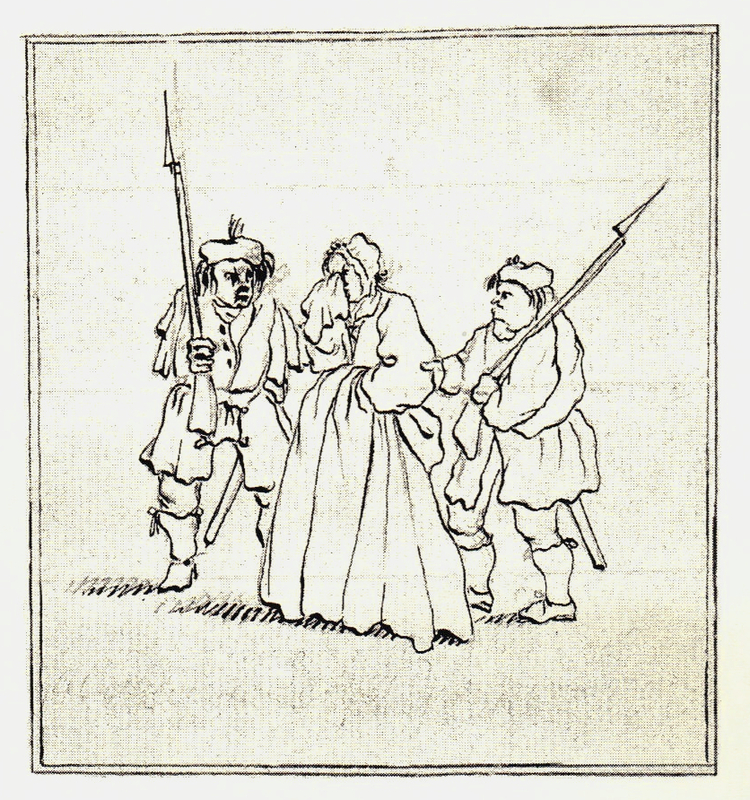 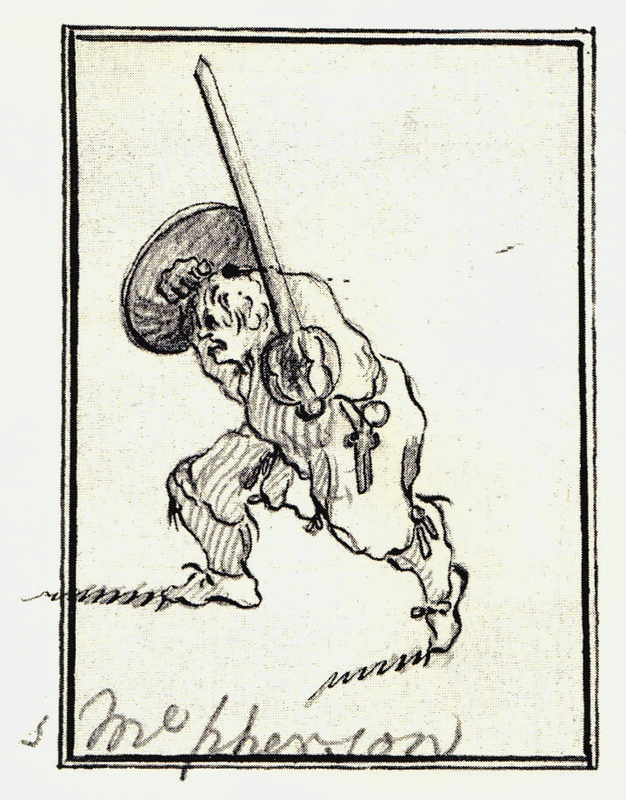 The validity of these sketches is a matter of some dispute among historians, as some regard them as works more of caricature than reliable historical value. 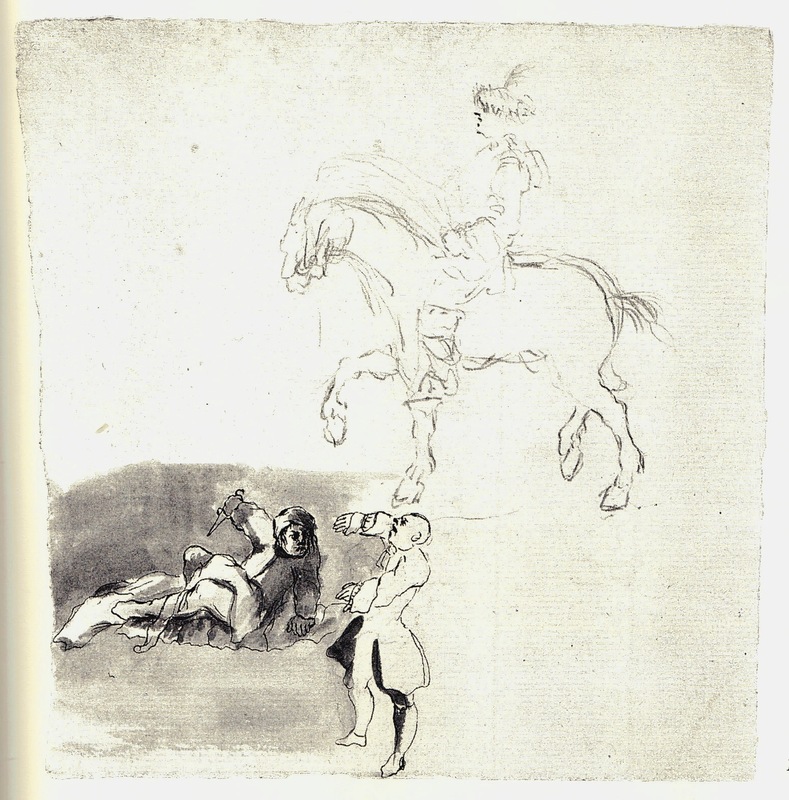 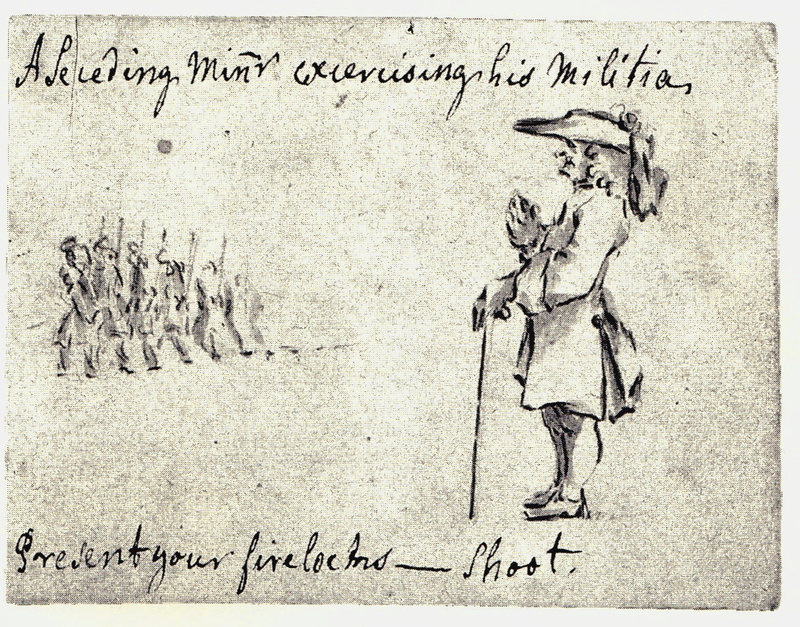 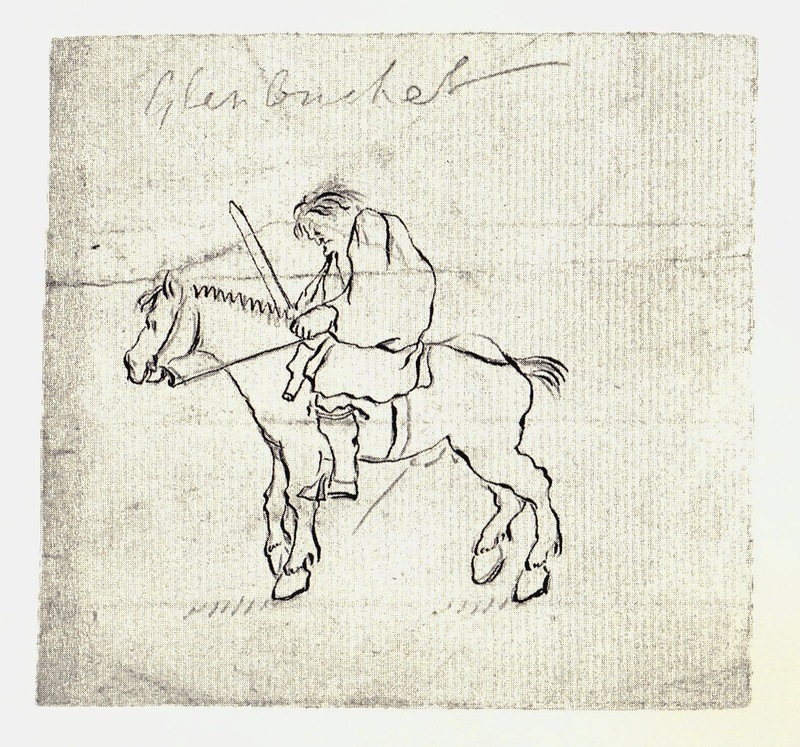 Others suggest that while that may have been the case (the sketches likely being done by a Hanoverian sympathizer), there are details within the sketches that would have been too common a sight to fake, such as their shoes’ use of ties rather than buckles, or the absence of facial hair. 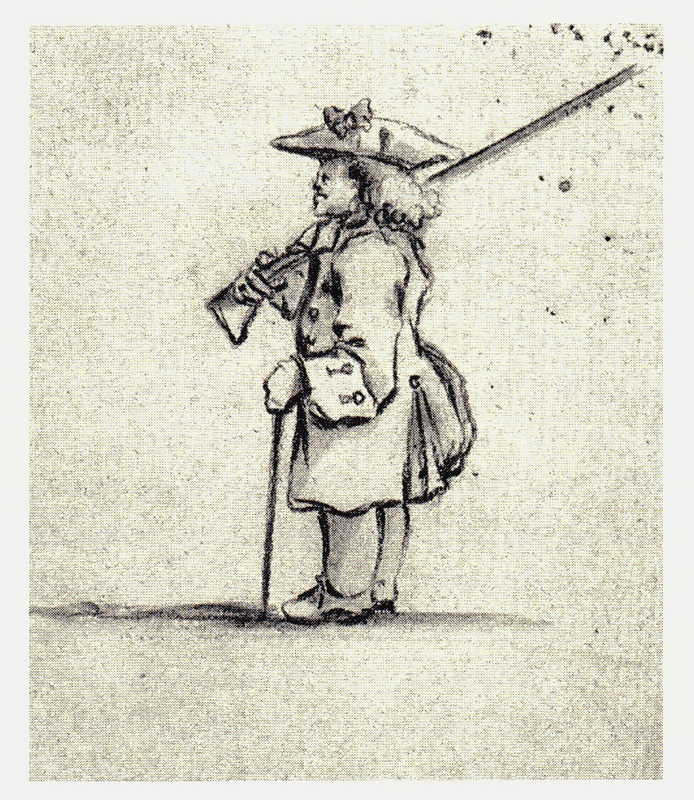 Take wisely what you will from the following artworks. 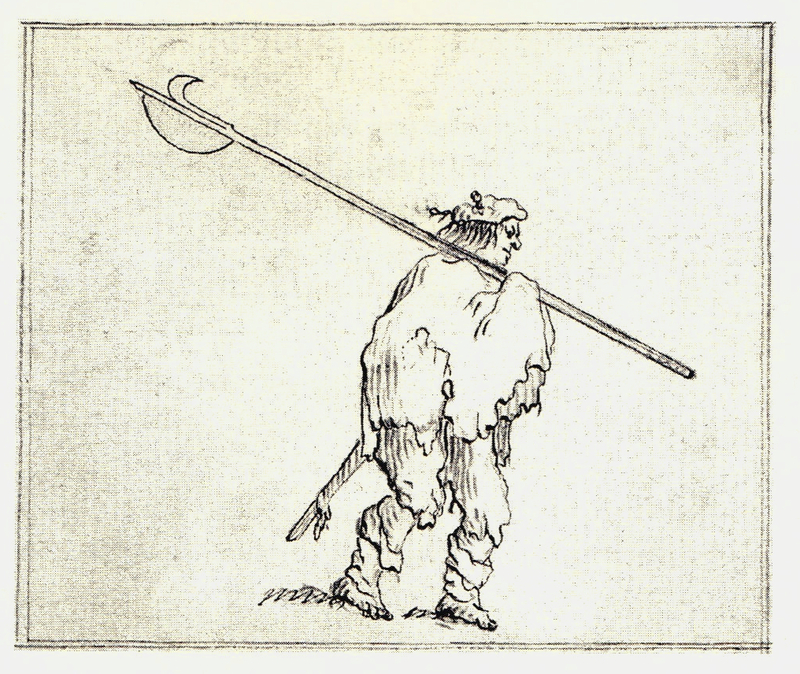 To many detailed commonalities to be caricatures. 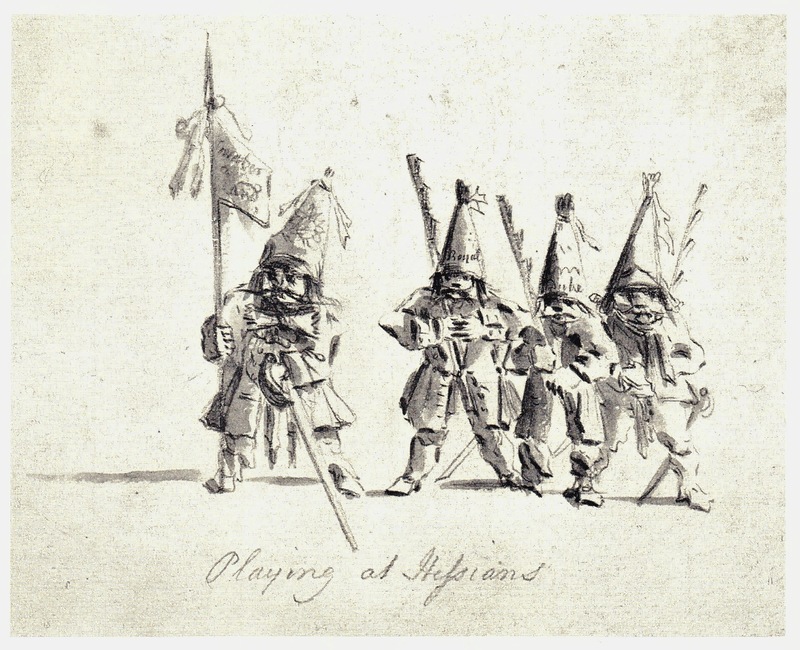 Scottish and English troops pictured. 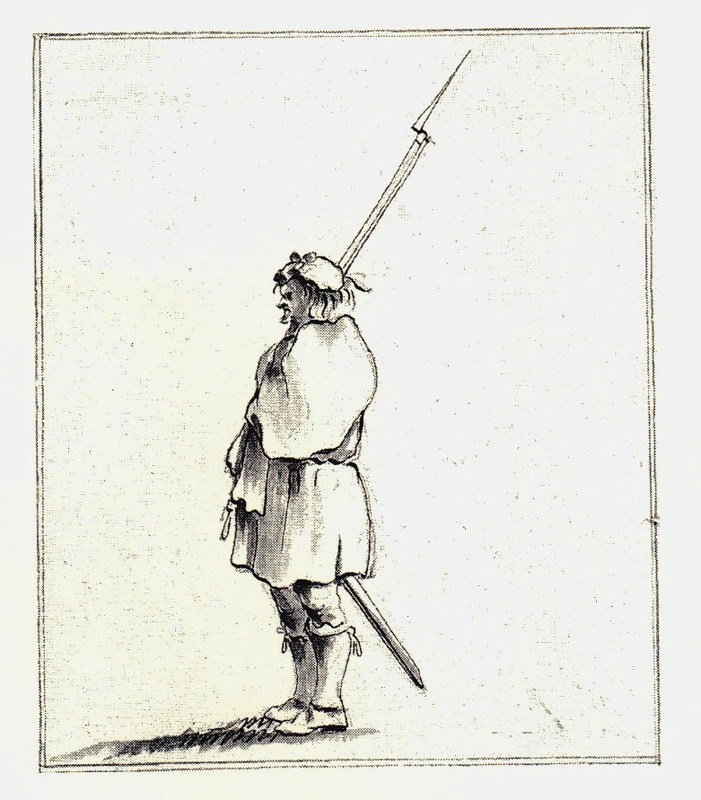 High and low. 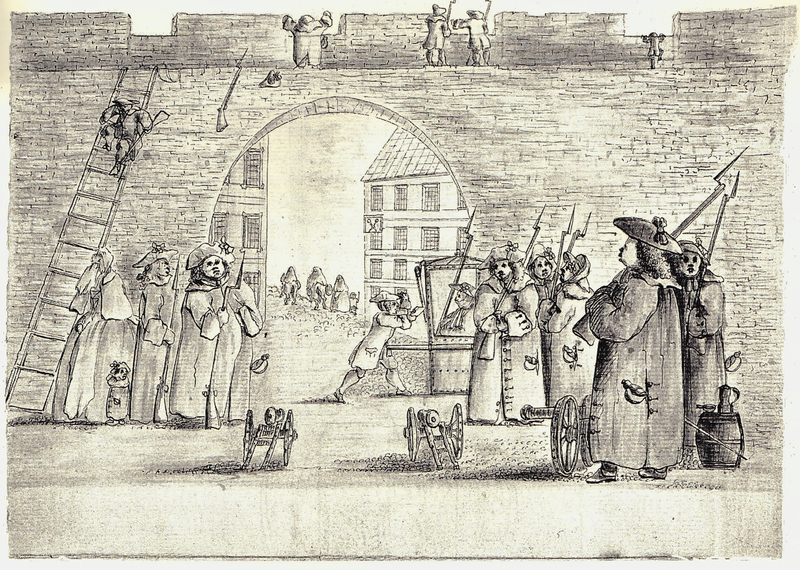 Common street scenes as well. 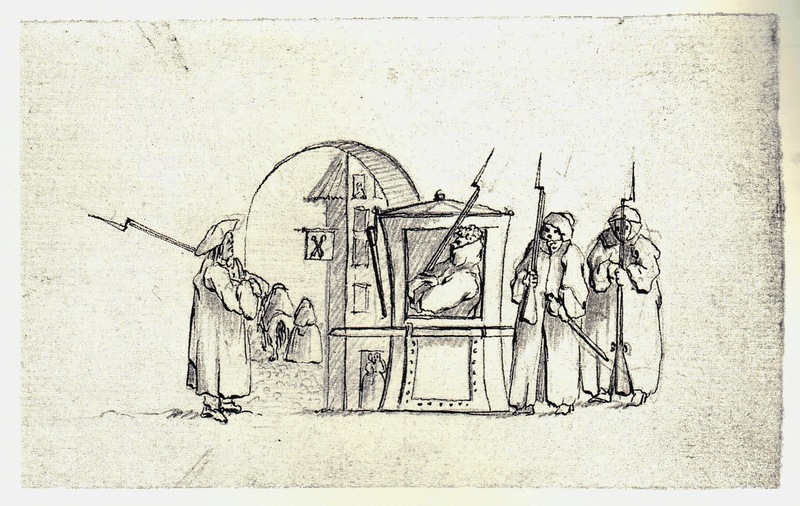 The Sedan chair was a nice touch.